Motorola has been one leaky ship recently. We first heard of the Moto C, the company's new low-end lineup, earlier this week. Just a day later, pictures of the new phone surfaced, alongside images of the upcoming Moto Z2 Force. Now, 3D renders for both the Z2 Force and Moto E4 Plus have leaked. We already have seen pictures of the Z2 Force, so there isn't much new to see here. The phone hasn't changed much design-wise, presumably to keep full compatibility with existing Moto Mods. However, this device is slightly thinner (5.99mm) than last year's Moto Z Force (7mm). The most interesting change is the headphone jack - last year's Moto Z and Z Force didn't have one. This was no doubt an annoyance for many buyers, so it's nice to see Motorola bring it back. 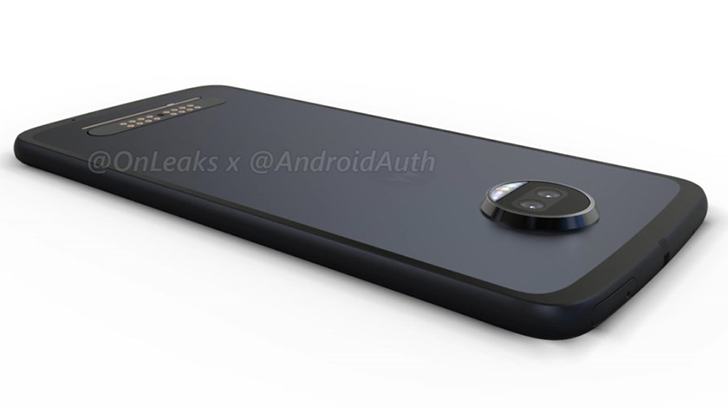 Android Authority says the final model will have a Lenovo logo on the side, like we saw in the previous leak, but it was left out of the above render. The Moto E4 Plus looks nearly identical to the regular Moto E4, which was first leaked earlier this week (and later again with the E4 Plus). There isn't much new to see here, with the exception of a fingernail groove on the bottom corner. This likely means the back plates will be easily replaceable. Again, there will be a Lenovo logo on the side, but that was left out of the render.